SSG David Timmons receiving his medal. 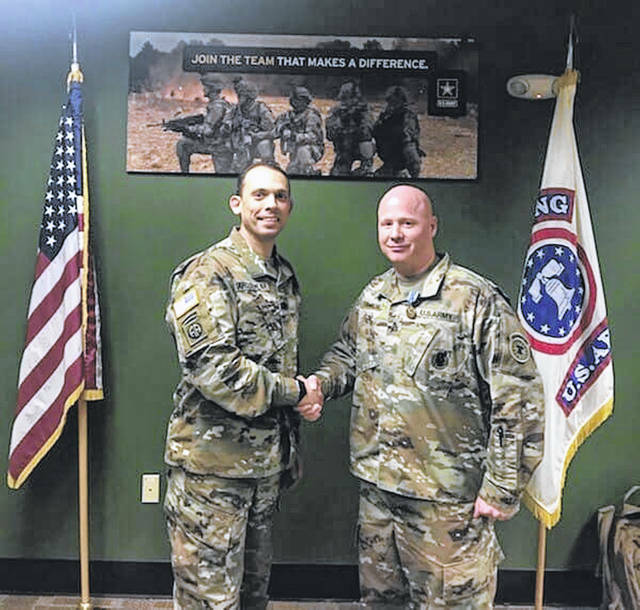 Congratulations to Portsmouth US Army Recruiter SSG David Timmons. He was presented the Army Achievement medal by Lieutenant Colonel Arosemena, Commander of the Columbus Recruiting Battalion. The Army Achievement medal is presented to Soldiers for outstanding achievement or meritorious service. Thank you for your commitment to the United States of America.